This was fun and a little nerve wrecking also. 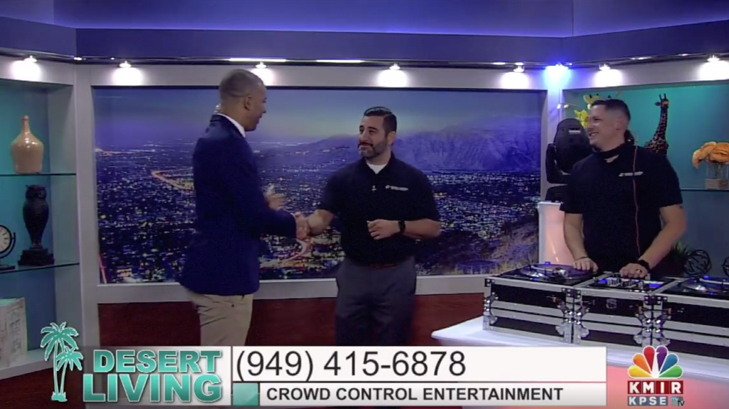 I had the opportunity to feature my company Crowd Control Entertainment on KMIR recently on their business showcase show Desert Living alongside my partner Jason aka DJ Cre-8. Most you know I’ve been in the desert for almost 6 years now. 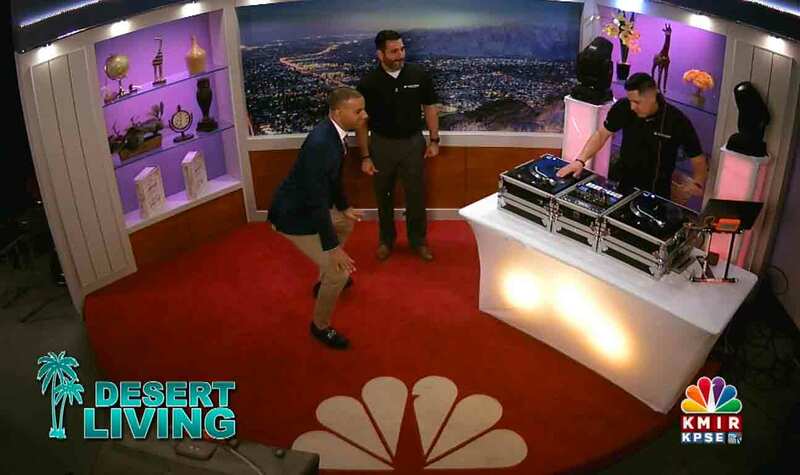 I got a chance to talk about how I made connections in the Valley and how I’ve been here ever since!